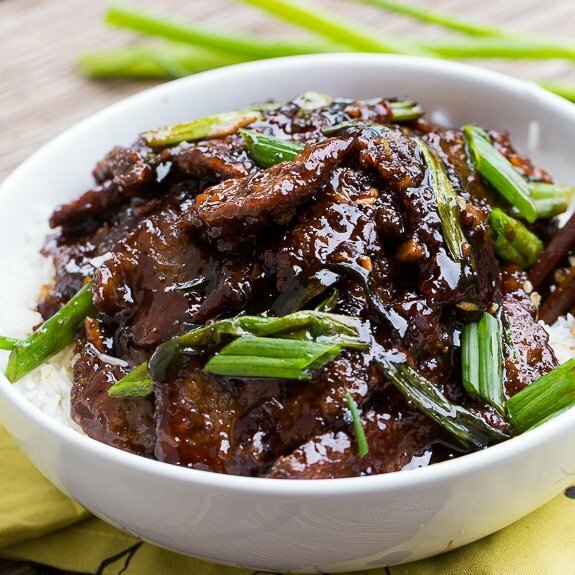 I’ve seen recipes for PF Chang’s Mongolian Beef all over Pinterest for some time and since PF Chang’s is one of my favorite restaurants, I knew I had to try making Mongolian Beef at home. Usually when we go to PF Chang’s, I am all about the Kung Pao Scallops, but Mongolian Beef is also a favorite of mine. Crispy but tender pieces of beef coated in a thick, sweet and a little salty sauce. It’s almost like eating beef candy! Add some red pepper flakes if you want to balance the sweetness with some heat. We don’t go to PF Chang’s often since it is a little pricey and the drive can take a lot of time when there’s traffic. So I am thrilled to be able to make this dish at home and it is so easy! 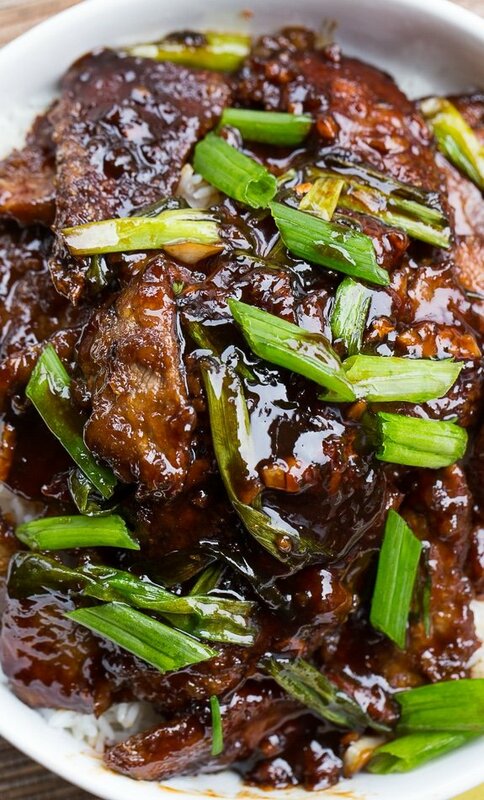 You don’t have to eat at PF Chang’s to enjoy a fabulously delicious Mongolian Beef. It’s easy to make at home and can be served over white rice for a meal that is sure to become a family favorite. For more mouth watering recipes follow Spicy Southern Kitchen on Pinterest and Instagram. Subscribe to Spicy Southern Kitchen’s Youtube Channel. Heat 1 cup Vegetable oil in a large pan over medium-high heat. Add beef (I cooked it in 2 batches) and cook 2-3 minutes, until brown and crispy, flipping pieces over to cook both sides. Remove meat with a slotted spoon and discard cooking oil. Place meat back in pan along with sauce and cook over medium heat for 1 minute, stirring to coat meat. This entry was posted in Dinner, Main Dishes and tagged asian, beef, copycat. Bookmark the permalink. Delicious!! I have made this several times now, along side steamed broccoli and jasmine rice.my family loves it!! This recipe is awesome! My family loved it so much that we don’t have any leftovers! I added a little oyster sauce to the beef while cooking it just to balance the sweef/savory flavors. I’ll be bookmarking this to make it again. Excellent with a couple minor alterations. I don’t know why I didn’t think to add broccoli. Yum! I don’t buy brown sugar so I used 1/2 cup coconut sugar which is a great substitute. It was pretty messy frying the meet so I too wonder about broiling or grilling without the cornstarch (or arrowroot). Next time I will just add the cornstarch to the cold water part and then add to the sauce. Thank you for sharing. It really is like beef candy! I add broccoli to this recipe and it is so good! Made the Mongolian Beef and it turned out awesome! Will definitely make again and also try something similar with chicken. Thanks for the great recipe! 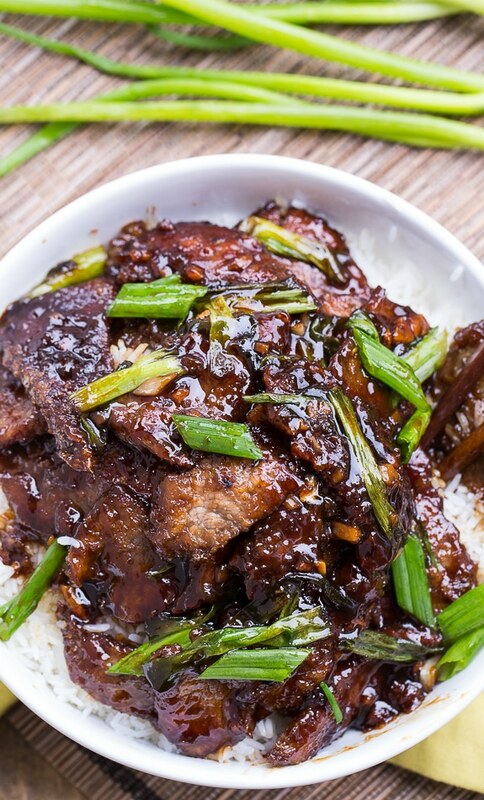 Do you possibly have a Instant Pot recipe guide for this Mongolian beef recipe? This was a great recipe. I followed except added a few steamed veggies at the end. Big hit. Will be serving again soon. Delicious!! My alterations: subbed light brown sugar for dark brown, only used 1/2 cup oil for frying the steak and served jasmine rice with it. Very much like PF Chang’s…and NOT to sweet at all! Thank you for sharing!! I use top round steak because that’s all they had and the meat was tough. Is there a different kind of meat that’s a bit more tender? I used thick cut sirloin, sliced it thin, put it in a bag with the corn starch, shook it, put it in the crock pot and put everything else in the crock pot . It’s always tender this way. I am going to add broccoli florets at the end. Yes, I would use maybe 1/2 teaspoon. I have made this many times before using a different recipe. The secret to making the sauce thick is to NOT use WATER!!! The recipe for the sauce calls for water however I made this recipe tonight using the water and my sauce never thickened even after reducing it for a very long time, so please if you’re going to make this do not add water. My sauce thickened once I added it to the pan with beef because the need had the corn starch on it. Seems like a lot of people think it is too sweet, but I am glad you enjoyed it! I actually made this using leftover London broil and it was great! Made this tonight. My son said it was his new favorite dinner but by the end of the meal we all thought it was too sweet. Maybe I will add broccoli next time and cut the sugar down. Thanks for the recipe! It definitely is on the sweet side. Great idea to add the broccoli! I added broccoli and it was still WAY to sweet. This is just Todd Wilbur’s recipe from topsecretrecipes.com with slight modifications. It’s good to make this recipe more well-known because it’s a good recipe, but give the creator credit where credit is due. I’d recommend broiling the meat on skewers for just a few minutes if you don’t want to fry it. It closely resembles grilling it and will cook really quickly! Thank you for the recipe! The dish turned out great! Made it last night. The family loved it! Made this for the second time tonight. It is delicious! Glad it is a winner! Made this tonight and it was AMAZING. I followed the recipe to a T and it turned out great. We will definitely be eating this regularly. Thanks so much – excellent job! I just made this yesterday and it was delicious. I found a clip on You Tube from PF Chang’s showing how they make theirs and they added some sesame oil right before plating. Thought I would share. Thank YOU for sharing this recipe with us…love it! Hello ..This is my first comment on this board . But I just finished making this fantastic mongolian beef recipe and I have to say it was one of the tastiest dishes I ever made. The sauce was sooo sweet, then the red pepper flake kicked in.. Had it with Broccoli with Asian Garlic Sauce and Jasmine rice … Life is Good …when eating this dish !!! That’s quite the review Myles! Glad you enjoyed it! So glad you enjoyed it Laura! I will have to try adding asparagus next time I make it! I grilled my meat instead of frying. It came out perfect. Tender and delicious. Thanks. Hi, I made this recipe and while I loved the flavor and the meat came out nice and tender, my sauce never thickened up. Any suggestions? Im thinking she didnt put the right veg oil so i would put 1/3 or 1/2 cup she only put the 1cup vag oil for cooking the meet. She needs to fix that. 1/3, 1/2 cup or a cup of vegetable oil? I think you mean 1 tablespoon, right? I must have done something wrong. My meat tasted saturated in oil. Ugh… my family didn’t like it. Sometimes that happens if the oil is not hot enough Becky. You have to make sure the oil is at maximum heat. You can also get away with less oil if you want to. I baked my beef in oven 450 degrees until brown, turned pieces over and cooked until well brown. Delicious recipe. Thank you for sharing! I made this tonight for my family & got a thumbs up from everyone. Definitely a recipe we will use again! So happy your family enjoyed it Stacy! Just made this, way too salty!!!! Wont make this again. Mongolian beef my son’s fav. I had been searching for a recipe and this one is easier to prepare. Thanks for sharing ? I added a small amount of green pepper and broccoli to this and a bit more red pepper flake . This was and easy amazing dish will be making this more often. Tried this tonight! Delicious! It is definitely being added to my favorite dinners file! I love PF Changs and LOVE making delicious dishes in my own home. Nothing like it! Any way to cut back on the oil? 1/4 cup of oil per person seems an awful lot. It doesn’t seem the oil is used in the actual dish, just to cook/fry the meat to make it crispy. You discard the remaining oil after the meat is removed. This dish looks amazing AND super easy! Thanks! Just finished making this. Followed the directions to the letter. I let the sauce cook down longer so it was thicker. Didn’t season the meat and when combined with the sauce found it was not overly salty. However next time I’ll use 1/4 c. regular soy and 1/4 c. sweet thick soy. I think it’ll add depth to the sauce. And maybe a bit of sesame oil for the flavor. This is really good. Thanks so much for leaving your feedback Cheryl! Made this tonight and it was so tasty;however, way too salty. I recommend using a low sodium soya sauce. I will certainly make it again with that adjustment! Yummy! Tried to make, IDK if it was the soy sauce i used but it was really salty, will try again at another time, but i will add less soy sauce and more brown sugar. Recipe was good only thing was that it was way too sweet. My sauce also didn’t thicken on it’s own. I recommend adding a 1/4 cup of brown sugar and a couple teaspoons of cornstarch to the sauce while it is simmering. Never had real PF Changs before, I’ve tried the frozen stuff but I know it wouldn’t be the same. I made this last night and LOVED the flavor of the sauce! I only have one problem, the sauce NEVER thickened and I have no idea why I added a bit of cornstarch but it didn’t help any, other than that no complains except my meat wasn’t very tender after cooking it. I made this last week since we are obsessed with the PF Chang’s version and live 3 hours away from one. It is absolutely amazing and I had a very happy family last night:) Thank you so much! Cooked this in my crockpot for 4hrs, worked great. I will cut down the sugar next time and add more heat, but that is just me. I’ve never tried this recipe in the crock pot Kim. Hope you love it Donika!! Very tasty dish and mouth-watering photos! Saucer of milk for table 7… Meow! I really wish people would comment on how this recipe came out rather than saying how great it looks and will try it later. That is not helpful. We can all see what the picture looks like. How about does it taste good? That is what I need to know. Thank you to the ONE person who actually made it and commented on what was wrong. Less sugar. Thanks! Thank you for the great pictures. Making it tonight! I enjoyed the flavours coming out of this. We already cut back on the sugar, but we should have also used a low sodium soya sauce. It was so tasty other than being to salty for my liking. I used a roast and so doubled the sauce, I don’t think I needed to do that. I think adding broccoli would have been ok. I made this today because I haven’t been to P.F Changs in a while since I am living abroad and all I can say is: it really took me back!!! I added some broccoli and mushrooms in before the green onions making it a little more complete as a meal. It is way to sugary…once I read 3/4 cup of brown sugar the recipe lost me…cooked it ate it, spiced it up a little more to cut the sugar…I’m guessing the sugar is what keeps all the people coming back for more, right? I need another mongo recipe one thats on the saltier side, non the less, thanks for the recipe…the kids love it! I was wondering if I could also cook the beef in my fryer instate? Hi Katy! Yes, I think it would be fine to cook the meat in your fryer and do the rest of the recipe in a pan. Oooh pf changs is always on our hit list when we visit the USA, we love it! This recipe looks fantastic!!! This looks awesome!! I haven’t tried PF Chang’s version, but yours looks so good I don’t think I even need to go out! The sauce looks amazing! The sauce definitely helps to make this dish. There is just something about that sweet and slightly salty sauce that is so addicting! PfChangs does it well and this copy looks amazing! That looks seriously legit! I love a good copycat recipe and this must be better than pf chang’s! 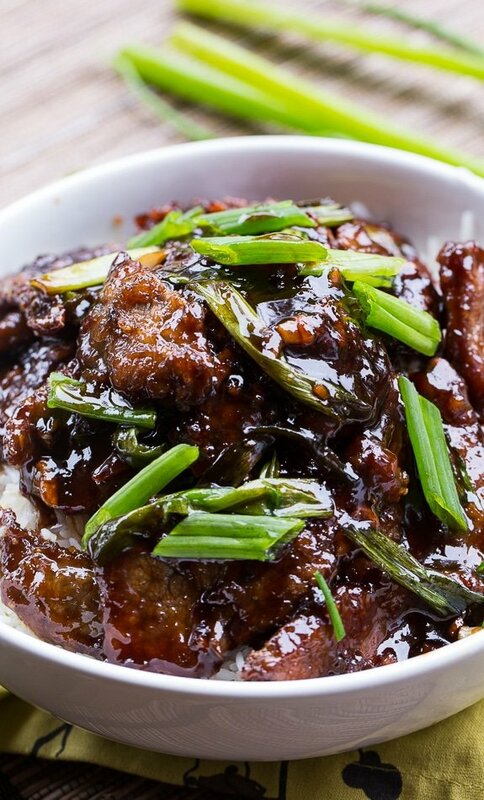 Your Mongolian Beef looks absolutely incredible, Christin! So flavorful and saucy! Omg this sounds incredible and your pics are gorgeous! I have got to try this dish! Wow Christin…this Mongolian beef looks awesome, I love the color of it! 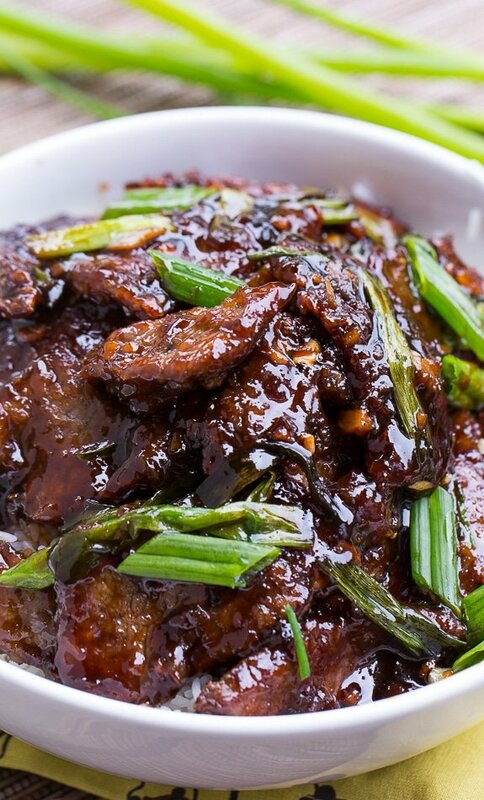 We love Mongolian beef! It’s about time that I try making it at home! Thanks for the recipe! I wanted to try Mongolian beef for a while 🙂 Yummy! This looks so delicious! I love making copycat recipes. You can save so much money, and they almost always taste better at home! Thanks for the recipe. Recreating restaurant dishes like this at home is the best! This looks fantastic! So nice and saucy! I’m actually going to PF Chang’s tomorrow night for dinner, though I’ve never had their mongolian beef before! This looks fantastic, Christin! This is one of my favorite dishes. Love the flavors! Mongolian beef is a favorite here! This looks so saucy and sticky — the best way!